My first attempt at Scarlett with tips on how it was achieved. I really wanted to share it with everyone. This is in reply to Gloria and Belladonna. Gloria wanted to know why my focus was on Scarlett 'O Hara, Belladonna commented on the portraits and there was a point about photoshop-ing the portraits. The Scarlett Reverie -- or this blog's focus on Gone with the Wind's Scarlett really found its seeds during my high school years -- raw and shy, raised in propriety and trained to honorably give way to others than having ones way out in the world. The book was one among the many reads my elder sister kept. A bookworm till today, she would always be ahead of the pack when it came to the next big thing in reads in our household (today actually, she still informs me of this or that book and it ends up in a critic's must-reads or in the NY Bestsellers. I initially thought it was some Western story, judging from men on horseback on the cover (that goes to show how unaware I was of history nor of geography of what was South, North nor what falls under a Western). I was only aware of Western's from my grandfather's love of John Wayne and his novels of Zane Grey. Gone with the Wind's writing for me was the kind of narrative that kept you hanging on. The spirit of Scarlett was there. Margaret Mitchell, like her Scarlett knew how to get ones attention and keep you focused there. Her Scarlett was never presented as beautiful but did create the impression that she was with her charming character. 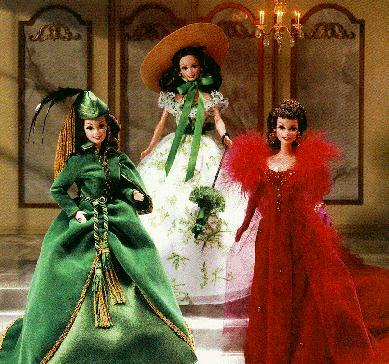 Similarly, GWTW has been critiqued to be no grand work of literature during its time of birth, but still caught the adulation of the world like wildfire! It was perhaps a turning point in my life -- and allow me to become a little personal here -- that my somehow cloistered awareness of life and the world would change. The passing on of my father at 44. The re-marrying of my mother barely a year after his death and the sudden changes in our lifestyle from pampered son to independent soul. In that, I somehow found myself liking GWTW's truths. It was right when Scarlett "was never the same girl again", was right when she said "that girl doesn't exist anymore", because dark times call for one to create ones' own light. The young man of 13 learned how to fend for himself. I would work at a Printing Press of my friend doing layouts at night, sleep on a bunk waiting for the first releases, go home, bathe, change clothes, then head back to College again where I was studying scriptwriting and Communication Arts. Scarlett's mold of speaking her mind did rub off on me too. I learned how to speak my mind, and somehow try to inflect words with funny sarcasm. Something I learned to curb later on as the years passed on. 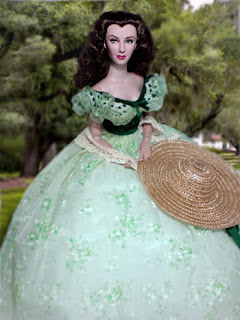 GWTW provided me with the fuel to bow down or to stand straight against those changing times and in the middle of all that was the iconic Scarlett 'O Hara from the Robillards of Savannah, with the Irish blood of the Scarletts that rose against their oppressors. A doll could never be a man's best friend -- some people think. And this is perhaps one reason why in my country, people find it strange when a man says: My hobby? I...er...collect dolls. But thanks to the internet which makes us all aware of greater things that evolve and open-mindedness, we are now aware that times have changed. 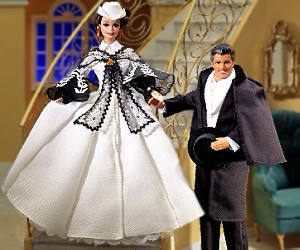 We see men collecting action figures, collecting dolls, repainting dolls, dressing up dolls, photographing dolls. Back then, I kept doll playing to myself. 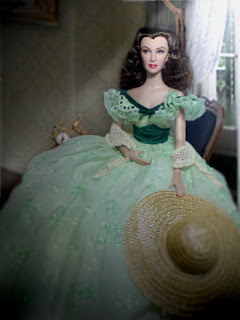 But with GWTW it was an all out expression of what I loved most -- the book, the character and now a doll. 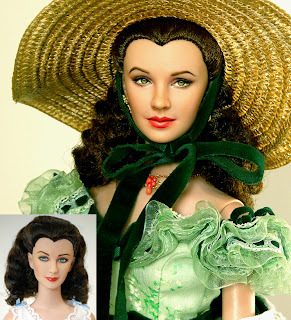 It is not surprising that Barbie as "Scarlett 'O Hara" captured my attention. 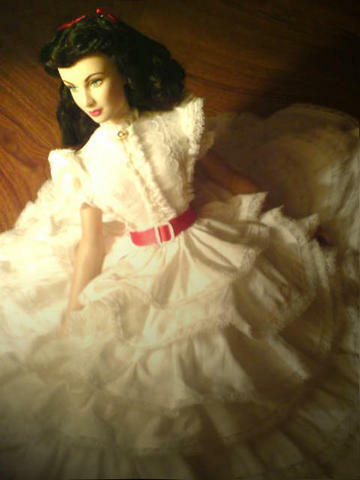 I started photographing those early Scarlett dolls when I was working, saving up for every release that came out. And while I was enthralled by these first dolls, I wanted only more. I wanted "accuracy". 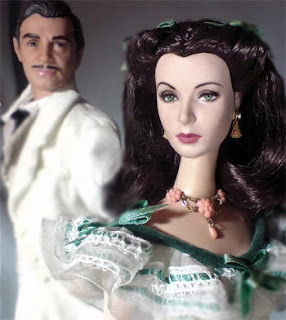 If the book's charm is Mitchell's Scarlett, the movie Gone with the Wind lives because of one and only one person in my opinion -- Vivien Leigh. She was the grand miracle that turned Selznick's dream into a reality. 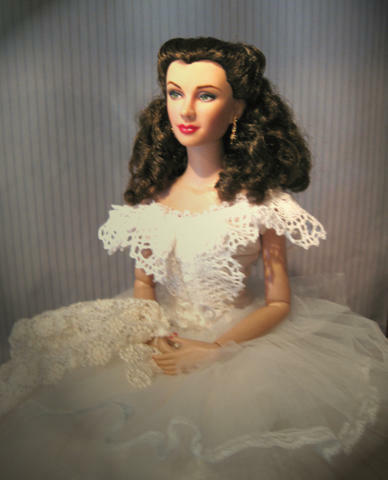 She immortalized Scarlett 'O Hara for all of us. Unparalleled and unmatchable. To this day no actress could live up to her beauty, talent and indomitable spirit. So why should they not make a GWTW doll made after her? 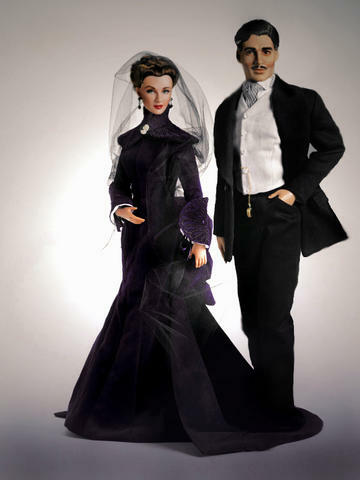 Enter Mattel's Timeless Treasures Vivien Leigh as Scarlett and Rhett. By far the best sculpts of the actress and the actor (my opinion). I still keep these two in their glass case in my room -- the only ones that I have in constant display. 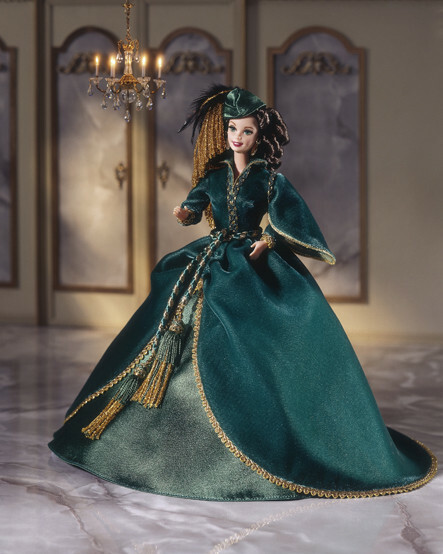 What is a doll without articulation? Having played with a 6 million dollar man -- and a Bionic Woman (belonging to my sister LOL), I knew, realized and enjoyed the magic of a doll with articulation. I did see the Franklin Mint porcelain Scarlett in her barbeque ensemble when I was younger (I actually remember staring at it the entire afternoon telling myself: "What happiness to have this before me!") 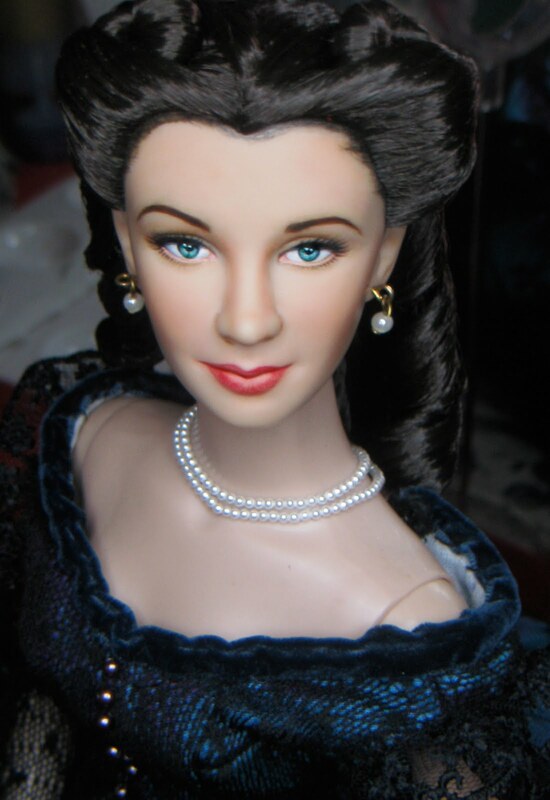 I then acquired FM's Scarlett Vinyl doll whose face paint captures the beauty of Vivien Leigh too: the slanted eyes, the pout in half smile, the porcelain like skin. 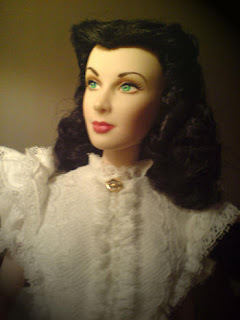 And while I was not much a subscriber of wigged dolls -- more so because the FM Scarlett showed more of the temples -- I still found this period a fun new time that unravelled more of my passion to make a Scarlett come to life. At a much bigger scale than Mattel's Scarlett, there were more areas for imagination to come true: the draping of the clothes, the way the hair would fall and possibilities of arranging it (however coarse the FM Scarlett's hair was and still is). 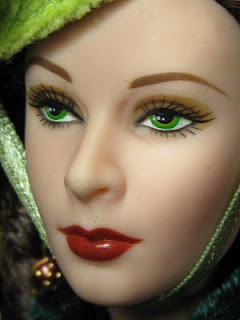 I also began photographing the FM Scarlett after noticing the how well light landed on that well-sculpted face. 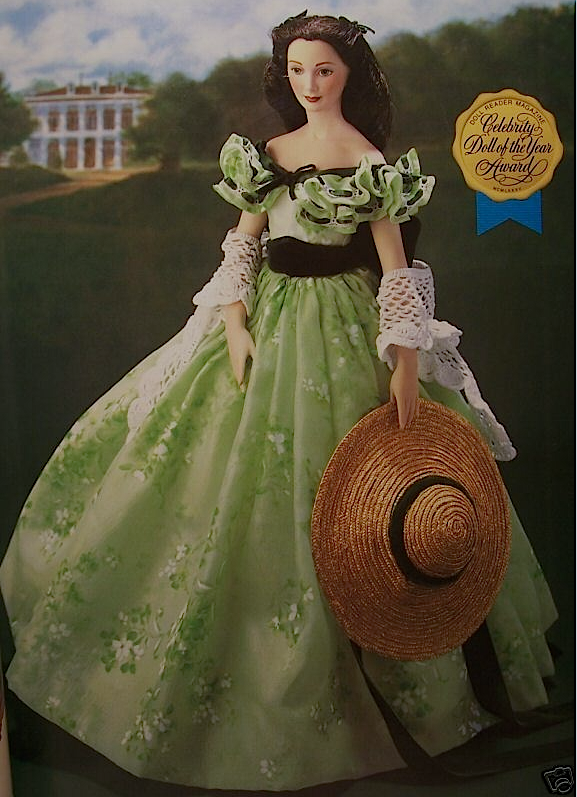 And thus began the Scarlett portraits which is found in the Yahoo Group for Franklin Mint's Scarlett. 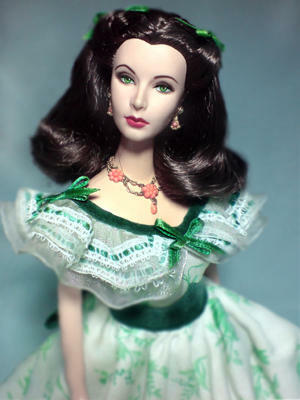 My first vision of the Franklin Mint Scarlett was its porcelain doll. I would stare at this picture the entire afternoon, scrutinizing details and wondering how much happiness could be derived if I had this doll before me. Some of the earlier and first portraits of a Franklin Mint Scarlett. My only light here was one lamp with yellow light. Repainting came by accident too. I still remember when Tonner released their first Scarlett. I still remember a lot of Scarlett doll reactions to it too. The new Tonner Scarlett did not capture the Vivien Leigh look that Mattel and Franklin Mint so well executed. This was a let down for all of us, mostly me BUT it was endowed with one thing that the other Scarletts didn't have -- articulation. 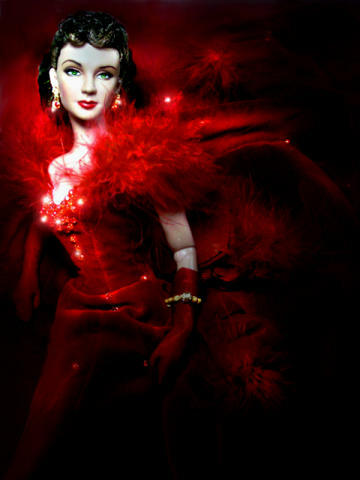 When Noel Cruz released his repaint of Scarlett I had hope. It could be repainted and my only, only goal was to put the FM face on a Tonner Scarlett doll. Thus began too my correspondence with Noel about repainting. He was my mentor, generously sending me the tools and the lesson that brought about my pursuit of repainting. When one is encouraged by this "grand master" (as I call him and which embarrasses him always modest spirit that he is), it becomes fuel for one to do more and do better. Isabelle of Isabelle repaints likewise encouraged me as well as members of the yahoo group for Scarlett: Eric Caron who scanned material and material of how to repaint and style dolls, Nikki, Fran, Alana, Ellen, Axelle, Arlene, Paul, the talented and kind Dave of Daveland.com and missgenemarshallandfriends.blogspot.com. I've actually found great friends in this Scarlett Reverie. It is by far the warmest, kindest forum/group I have ever joined! Noel Cruz's first Scarlett. The unparalleled one. My crude attempts at photoshop at that time. Working with just one layer. The fun of articulation feeds the possiblities of imagination. 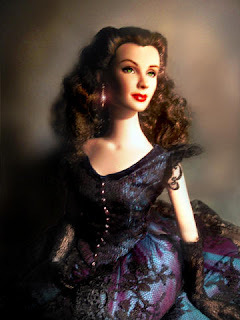 My first OOAK dress by Alana Bennett -- Scarlett wears a Jezebel gown. One of my old favorites. Crude repainting. Poor camera and photoshopped background. This was taken under a yellow light lamp. My desire to have a better face paint for both Rhett and Scarlett. I would photoshop their features just to create that look. My attempt at matching the drama of that iconic red gown. Do I photoshop them? Yes I do for portrait purposes and because I lack the tools as a good zoom lens camera, a light meter, bouncers, reflectors. 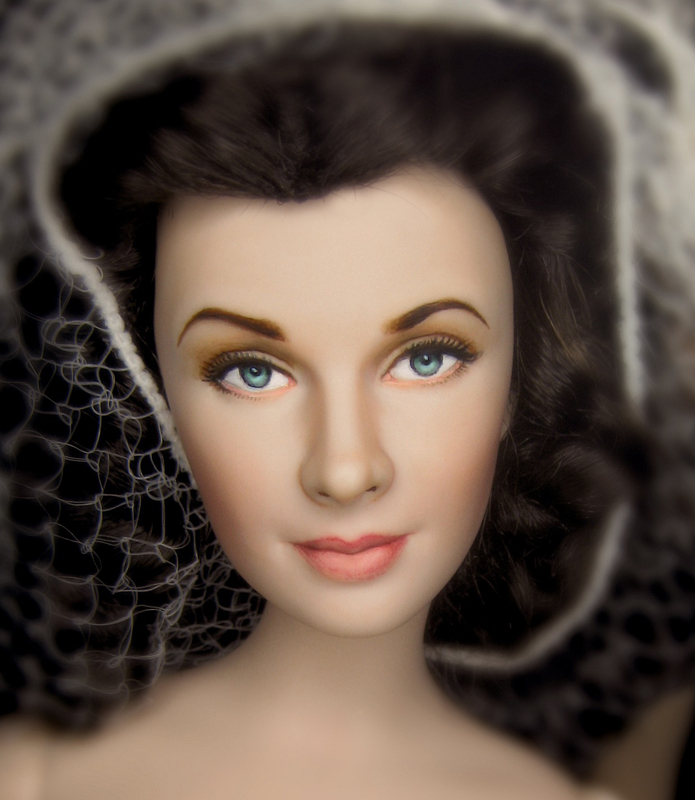 I love making portraits of dolls -- they immortalize the doll. I've always said this. Long after time has ravaged the dresses and vinyl of these dolls, the portraits live on -- just like Vivien Leigh being immortalized on film. And it also allows imagination to play. 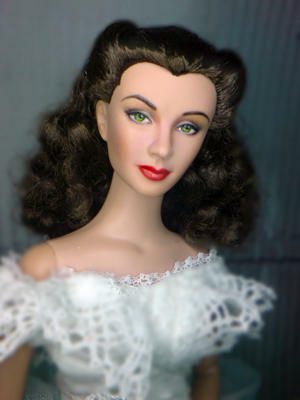 There was a time when I photoshopped extensively, especially when the repaint was crude and when I still had little knowledge of techniques in repainting. Nowadays, making a portait is easier, less of the fixes and more fixes on the background. Do I accept commissions? Yes I do, if I have the time. But one would have to be patient as I live in the Southeast. Something that I find an impediment to accessing more dolls to repaint and practice on. It's hard to believe I'm good at it because there are still some things I know I need to learn. Will I pursue it? I don't know. Perhaps until Tonner releases its last Scarlett. But does the dream end with that? Perhaps not. That completes my story of the Scarlett Reverie, in lieu of a profile. I hope you enjoy this little blog -- for as long as it lasts. From the first Scarlett to the Scarlett I have today. The journey was worthwhile taking. The reverie worth dreaming. Lastly, thank you to Belladonna and to Gloria for inspiring me to provide this post. Pardon the length. I always get carried away when it comes to Scarlett 'O Hara. No need for pardons - I loved reading every bit of it! And the photos were wonderful as well. Hi Dave! It was late at night to early morning when I finished this. So I only get to respond when I wake up Thank you Dave. You are part of this Scarlett Reverie. For your support and encouragement -- every photo has a bit of those. Glad you enjoyed reading it! 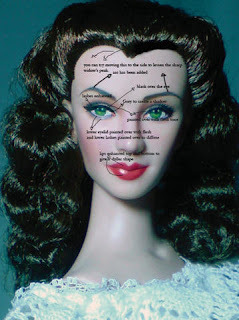 Behind every doll collector -- man or woman -- is a good doll story! Thank you!!! So glad you enjoyed it! = ) What dolls make us do right? Guess who dropped by for breakfast?